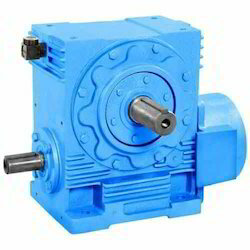 Leading Manufacturer of worm geared motor, worm gear box, bonfiglioli gearbox, worm speed reducer, worm gear boxes and worm reduction gear box from Coimbatore. 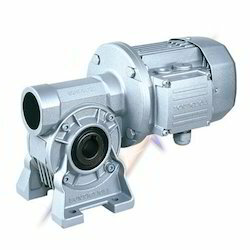 We are engaged in offering a wide range of Worm Gear Box. These are available with us in various models and range following the exact demands of clients. Our devices are acclaimed for their robust design and consistent performance. We offer our devices at market leading prices. With the support of our diligent workforce, we are able to provide superior quality range of RT Series Worm Speed Reducers. We work with a motive to meet the rising needs of our clients and provide sustainable products in ample varieties. They are precisely modified and are highly resistant to corrosion. We assure quality tested products at the pocket friendly market price range. Leading applications: general purpose, medium and fractional power drives; high reduction ratios. 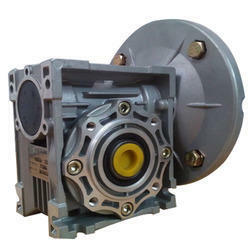 Design: 7 sizes; housings and covers of aluminum die cast up to size 85, of cast iron for size 110; ratios up to i=10000. Worm Gear Box provided by us are used to increase torque while reducing the speed of a prime mover output shaft. At our premise, these gear boxes are manufactured using optimum quality raw material and advanced technology by our skilled professionals. In order to provide flawless range at clients' end, our quality controllers rigorously test these worm gear boxes on various parameters. 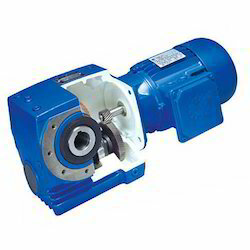 Available with us is a wide gamut of Worm Reduction Gear Box that is highly demanded in the industry. This gear box is designed and manufactured using high quality raw material in compliance with international quality standards. 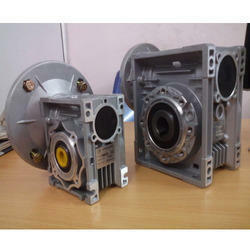 Offered gear box is also checked on various quality parameters under the supervision of our experts. 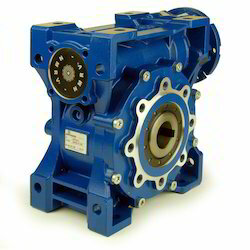 We offer this gear box in varied specifications at the most reasonable rates to our clients.